Comfortable two bedroom unit in the Ocean Walk area. Condo is on the second floor and requires stairs to enter/exit. Sit out an relax on the balcony and enjoy the view overlooking the nature preserve and pool. This condo is equipped with a walk-in shower. This condo does not allow pets. This condo is equipped with a King in the master bedroom, a Queen in the guest bedroom and a Queen Sofabed in the living room. This condo has a 40" TV with a DVD player in the living room, a 19" TV with a DVD player in the master bedroom and a 19" TV with a DVD player in the guest bedroom. 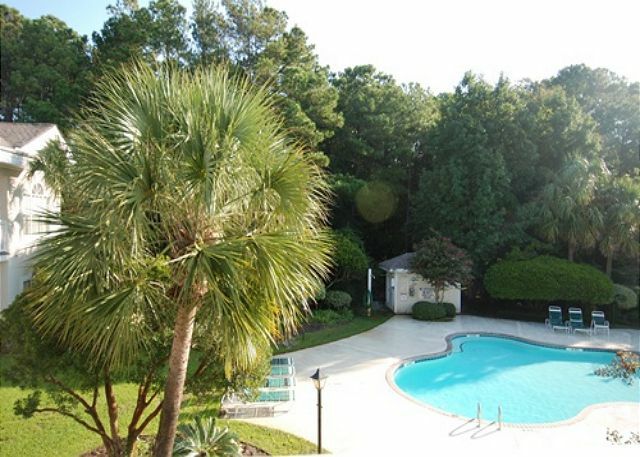 This condo is available for Monthly Rentals from October through May.